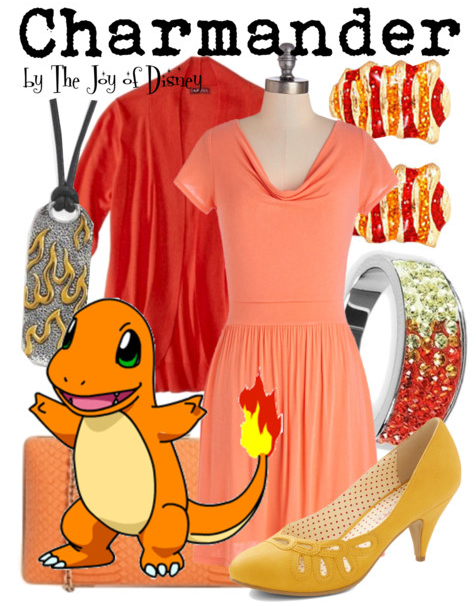 Buy Charmander's look: Dress, $34.99 ; Cardigan, $22.99 ; Shoes, $69.99 ; Bag, $66.69 ; Necklace , $78.99 ; Ring , $69 ; Earrings, $9.79. Hi! I'm Marie McGrath, a cheerful girl that believes Disney can inspire great fashion. Come on in and take a look at my Disney inspired outfits (and some None-Disney one's as well), Disney inspired crafts, and much more!